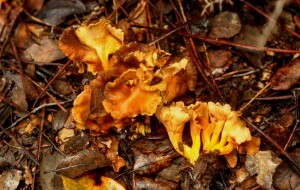 The Kingdom of the Chanterelles. 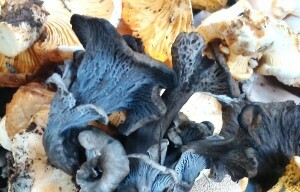 The rains have returned once again, and fungi once again become kings of the forest. In this corner of the south-eastern peninsula between green velvet mountains and on one of the oldest soils in Europe, mushrooms flourish under leaves and decorate the shadiest corners of this national park with their colours. Even after the autumn boom when the queens of mushrooms (tanas and boletus) appear, there are still more species to be discovered. The smallest and most frost resistant mushrooms can be found under the protection of trees during the winter months. They are also characterised by their diversity of shapes and colours; from the purple-coloured Blue Foot, to the almost human shape of the Judas Ear. 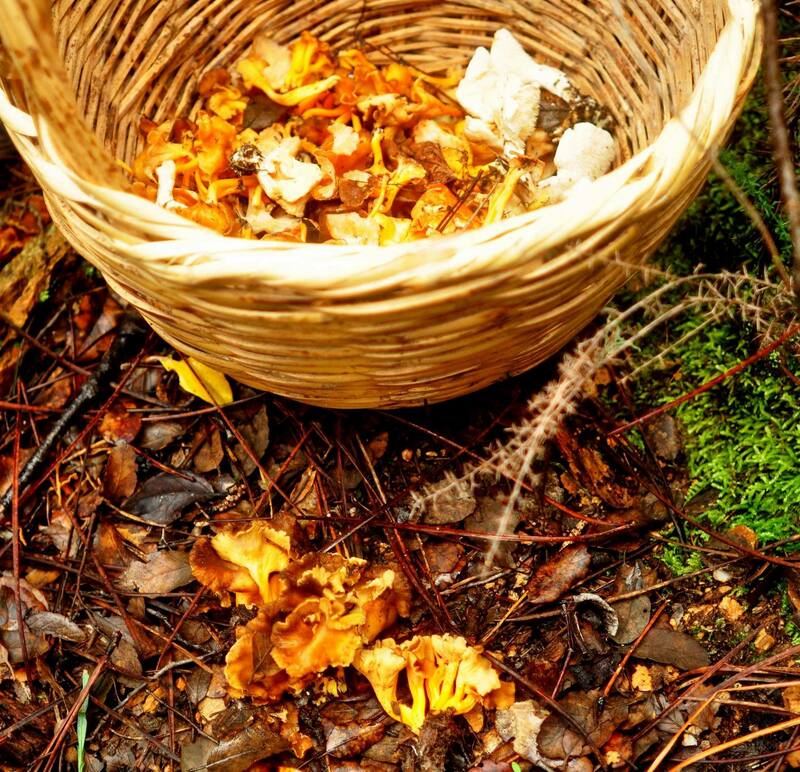 The Cantharellus, can be widely found at this time of year. This is characterised fundamentally by the hymenium, (where the spores are found), which looks like nerves or veins opening out from the trunk to the cap. They are generally cup or funnel shaped with a firm, scented flesh. These are symbiotic species and can be found living off different trees and shrubs. 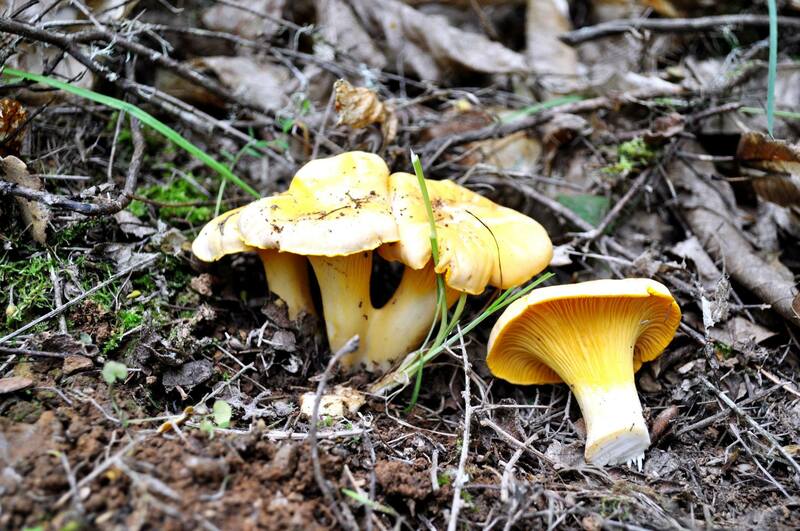 The most famous and easily found is the chanterelle (Cantharellus cibarius), which lives near oaks and chestnuts. 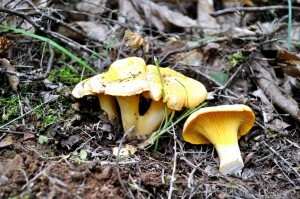 Less well-known, but just as interesting from a culinary point of view are the other types of chantarelle such as Cantharellus cinereus, Cantharellus lutescens or the Cantharellus tubaeformis, species which are also relatively abundant in number in pine forests and Mediterranean woodlands. Curiously, this group of mushrooms are not often consumed by animals, or attacked by insect larvae as they contain antibiotics. Method: In a large cooking pot add the same amount of sugar as mushrooms together with the cinnamon sticks and leave to marinade for a few hours until the mushrooms release their juice. Add a cup of water and cook over a low heat for an hour. Peel and chop half an apple, add to the pan and continue to cook for another 30 minutes. If the mushrooms are still not tender, add another half a cup of water and continue cooking. When ready, remove the cinnamon, liquidize the mixture and bottle in sterilised jars. Enjoy throughout the year for breakfast! If you know any other recipes using this mushroom, please share them with us! Babel Nature. Ecoturismo. ha compartido un El mensaje de Félix: aquello que los humanos más necesitan. Félix siempre nos habló de un futuro que ya casi es pasado. Nuestros bosques, verdadero pulmón y fuente de lluvias, desaparece. Babel Nature. Ecoturismo. ha compartido una publicación.